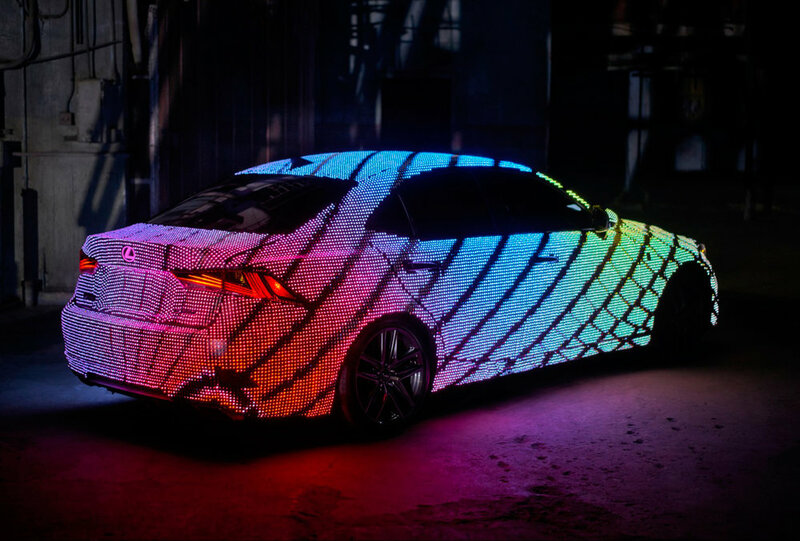 British singer/songwriter Dua Lipa and Lexus have collaborated with a custom LED-wrapped IS for the music star's latest video. 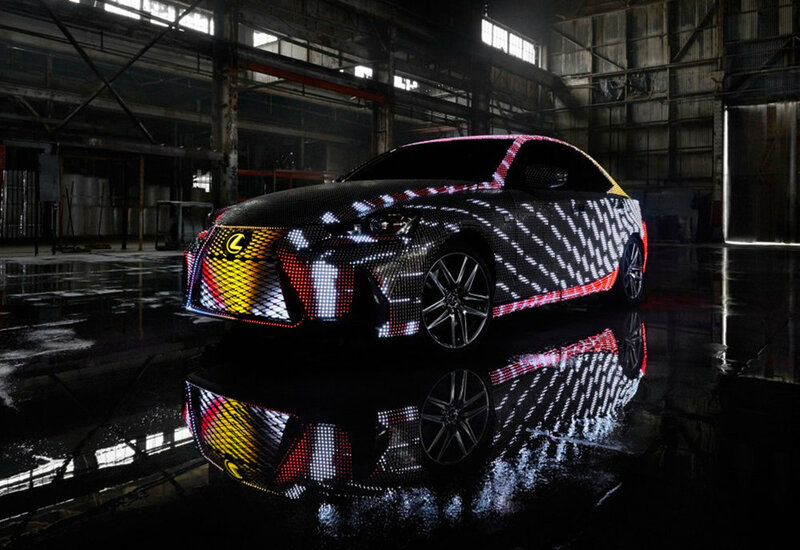 The Lexus ‘LIT IS’ is wrapped in 41,999 programmable LEDs that turn the car into a screen capable of broadcasting dynamic graphics and videos. The car stars alongside chart-topping artist Dua Lipa in her new music video for hit song “Be the One.” The first-of-its-kind collaboration pairs the singer with the car as a 'character and visual anchor' in a story that also features actor Ansel Elgort as Lipa's former love. 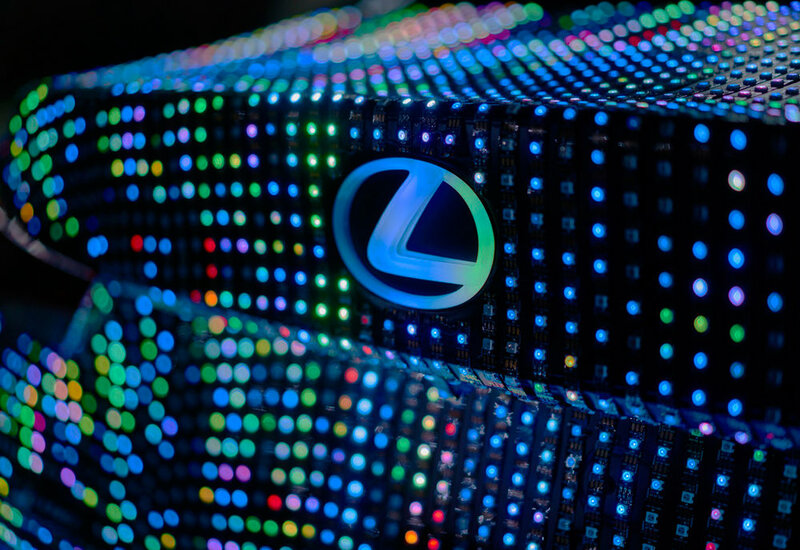 To create the LIT IS, Lexus used hand-applied LEDs to turn the vehicle into an eye-catching screen. In addition to broadcasting graphics, the LIT IS can also generate colourful, mesmerising animations in response to gestures and music. Through this responsive technology and the animations, an expressive car was turned into an actual vehicle for expression, and the concept for a new Dua Lipa music video was born. The custom car produces 175,000 lumens when fully illuminated, and the LED strips, if placed end-to-end, would stretch half a mile in length. Three distinct modes allow the LIT IS to interact with sounds and people in its vicinity. 'Attract' mode features a loop of colourful graphics that 'highlight the strong lines of the IS' says Lexus, and play into its bold styling. 'Music Viz' mode is designed to respond to music, as the LEDs will create custom, responsive displays that perfectly sync to any song. 'Gesture' mode allows the motion of the LED animations to be controlled by users’ hand movements with the help of a gaming console. This mode directly connects the car and the driver, allowing the person to send a signal and see the car respond.